Nickelodeon; The Final Battle. . Wallpaper and background images in the Winx Club club tagged: winx club nickelodeon season 3 the final battle lovebaltor. 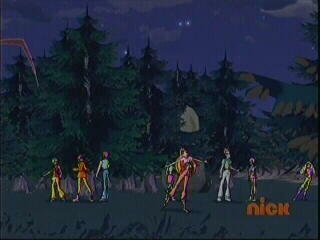 This Winx Club Screencap might contain ponderosa, ponderosa pine, magharibi njano pine, ng'ombe pine, pinus ponderosa, taurus pine, douglas fir, and douglas miberoshi.